If you've been misled to believe that a sweet potato is bad for your diet, think again. 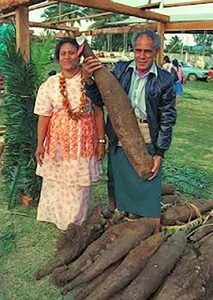 This tuber is eaten in large quantities in countries like Japan, Peru, and New Guinea where obesity, diabetes, and heart disease rates are much lower than here in the U.S. It's the toppings that we put on any potato that can clog arteries, add excess weight, and lead to poor health. Sweet potatoes are not yams and are diabetic friendly foods despite what you may hear in the media. Yams are originally from Africa, rarely sold in the United States, and can be up to seven feet long! Quiz yourself and know the difference between a yam and a sweet potato. Yams usually grow in tropical climates like Africa, South America, and the Caribbean.